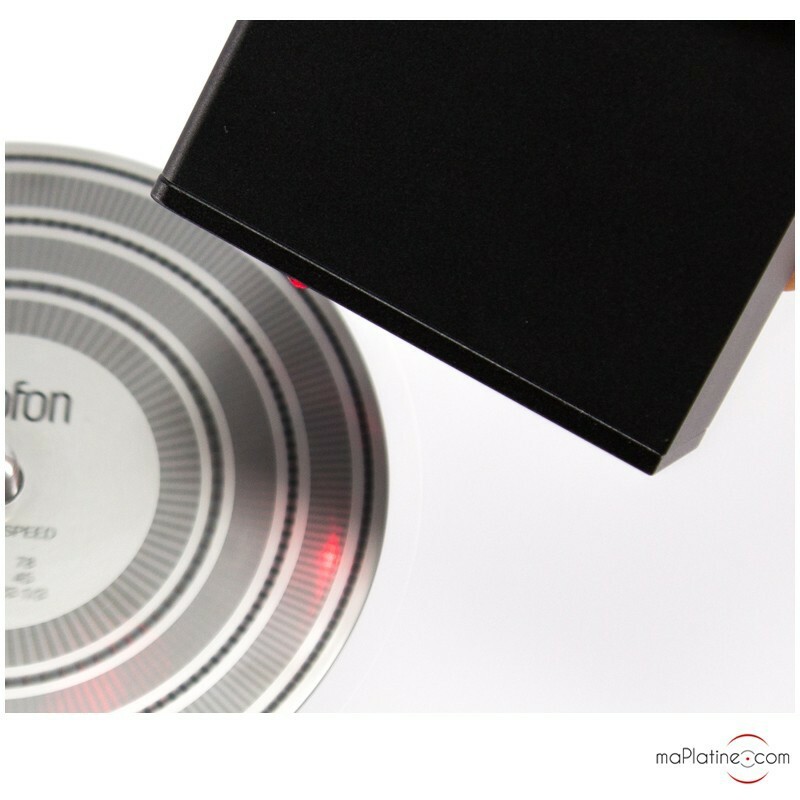 The Ortofon SB-1 consists of a box containing a stroboscopic light (LED) which operates at two frequencies: 50 and 60 Hz. If you live in Europe, only the 50 Hz will be useful to you. 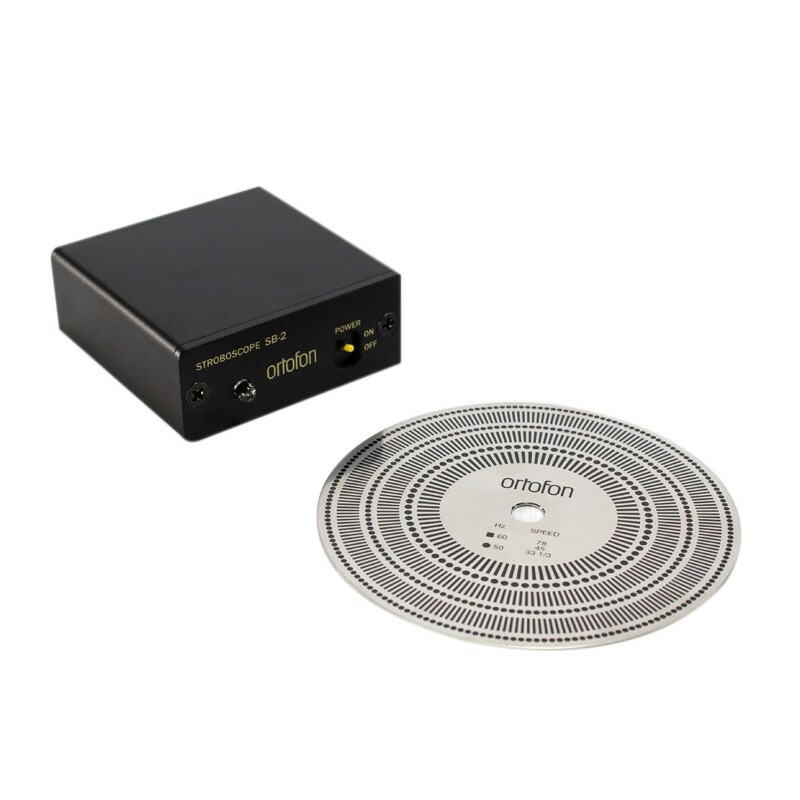 The product also comes with an excellent stainless steel disc. 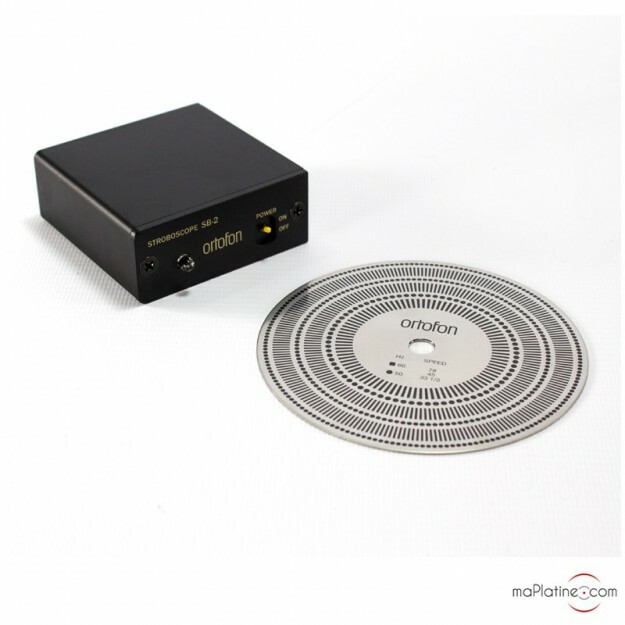 It has been carefully printed with 6 stroboscopic rings which correspond to the three standard record speeds: 78, 45 and 33⅓ RPM at 50 and 60 Hz. The SB-1 will only be useful to you if your vinyl turntable has pitch control or a separated regulated power supply that lets you control the speed, or if you own a turntable like the LINN LP12 which has a drive motor that lets you change the speed. If your turntable does not have these features, you'll simply just be able to see if your turntable is rotating at the right speed or not! 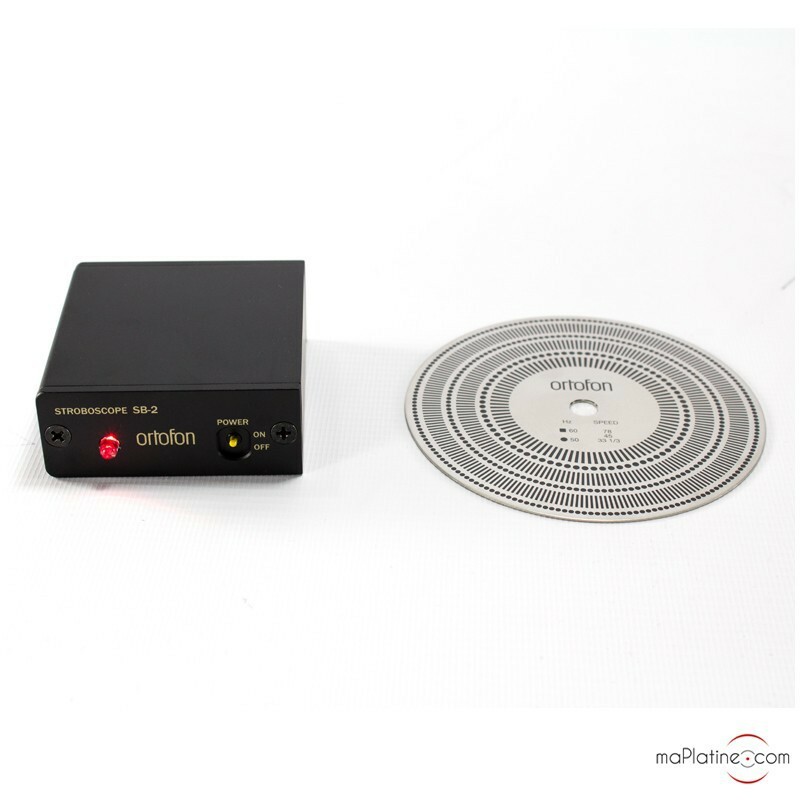 Otherwise, the stroboscope is relatively easy to use: just place the metal disc on your turntable platter and turn it on at a speed of 33⅓ RPM. Place the light above the disc and play it at 50Hz/33⅓ RPM for one rotation. It should align perfectly with the markings when it stops. If it does not, adjust your speed control until it does. You can fine tune this adjustment by doing the same for 45 and 78 RPM.
. If your speed is adjusted precisely, your sound quality will be perfect. This is an indispensable tool. 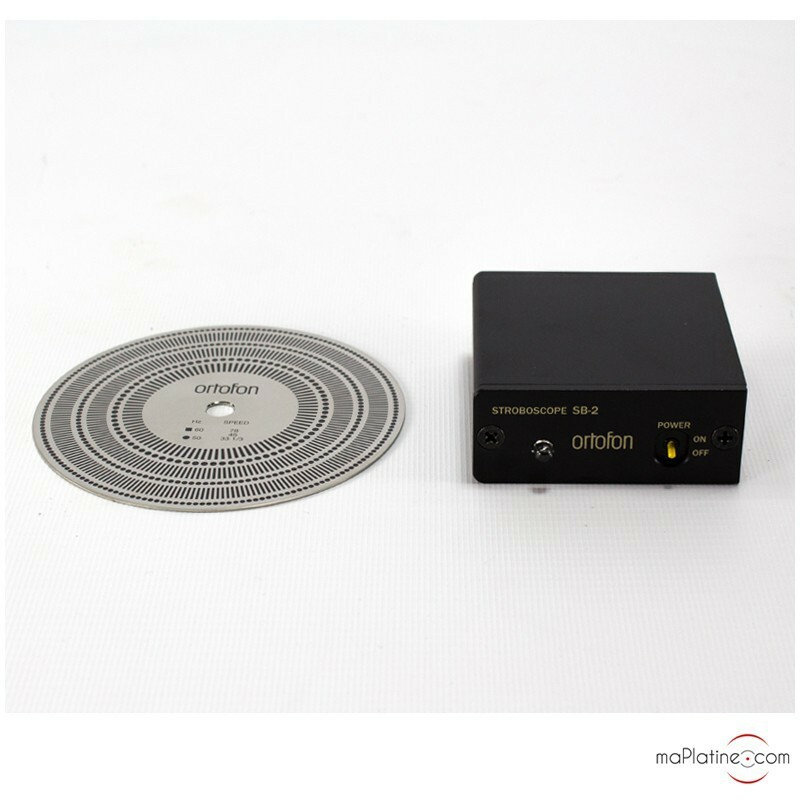 It is manufactured in Japan by Ortofon’s Tokyo subsidiary.